Suhani Si Ek Ladki 10th April 2016 Episode: Complete makeover of Series: Yuvraj and Suhani no more together ! Suhani Si Ek Ladki had changed the script to whole new series. Sunday special episode starts showing Yuvani’s birthday party. A servant called ‘Rama’ who had an extraordinary touch with Yuvani shouts on other guests to take care of the things. Dadi scolds her for being rude to the guests in the house. Dadi informs a girl that she had bought a dress for her princess. She goes to Yuvani and starts praising her by saying that she is the most beautiful girl in the whole party. Krishna comes and hugs Yuvani complimenting that she is looking beautiful today. They both compliments on who is looking better. Yuvraj comes outside the door and informs them to get ready soon as they had done all the preparations and guests are also here. He attends the guests came to function talking with his other daughter Krishna. Yuvani comes, and everyone started praising her for good looking attire. She spotted a girl and objected a little girl Sania of the reason her friend is looking better than her at her birthday party. Krishna comes and tells that she is looking better, Yuvani starting playing after Krishna denied to join her. Yuvani spoiled Sania’s dress as she was looking better than her. Dadi apologises and tells Rama will clean all this. Yuvraj and Pratima come in the party together; Suhani compliments them for coming in the celebrations. Yuvraj introduces them with Yuvani; Pratima tells she already knew as they both looks the same. Soumya came there with the cake and Yuvani hugs her telling her Mom. Dadi and Soumya praise her for being best in the party. A lady asked Pratima that her granddaughters are of same age, but they didn’t look like twins; Yuvraj stopped her to be in her limits. Soumya tells she will reveal the gift soon. The photo session begins where the whole family including Soumya, Yuvani and Krishna took pictures by making faces. Soumya and Pratima notice the girls nodding and kisses them. Pratima and Soumya discuss the recent changes in their house in such a short span of time. She told after all they have moved on from that incident and living out their lives in peace. The girls start modeling competition in the house; Sharad inspects the models. On a model, he objected for a spot on her face and the assistant assures that she will make it perfect. She fixes the dark spot up to show the finalised to their Mam. Suhani enters in western clothes and Indic jewellery. Dadi started remembering Suhani and a little boy, Yuvraj came and tried to concede her that she is no more with us. Yuvraj burns Suhani pic so that Yuvani will never come to know about her mother. Suhani came there in a total model’s look and spotted the dark spot on model’s face when they were leaving the stage. She gets angry and scolds him not to hire imperfect models as they are the best. Sharad cancels the contract. Yuvraj and Suhani no more together in the latest series of Suhani Si Ek Ladki, Do you like this change? Noo boring seriel it became don’t want to see it any more…. Agreed, i have stopped watching after barbie was arrested and everything was fine. we dont like yovraj and suhani seperation. We dont know what running this story. Why sowmya was living in Birla house. 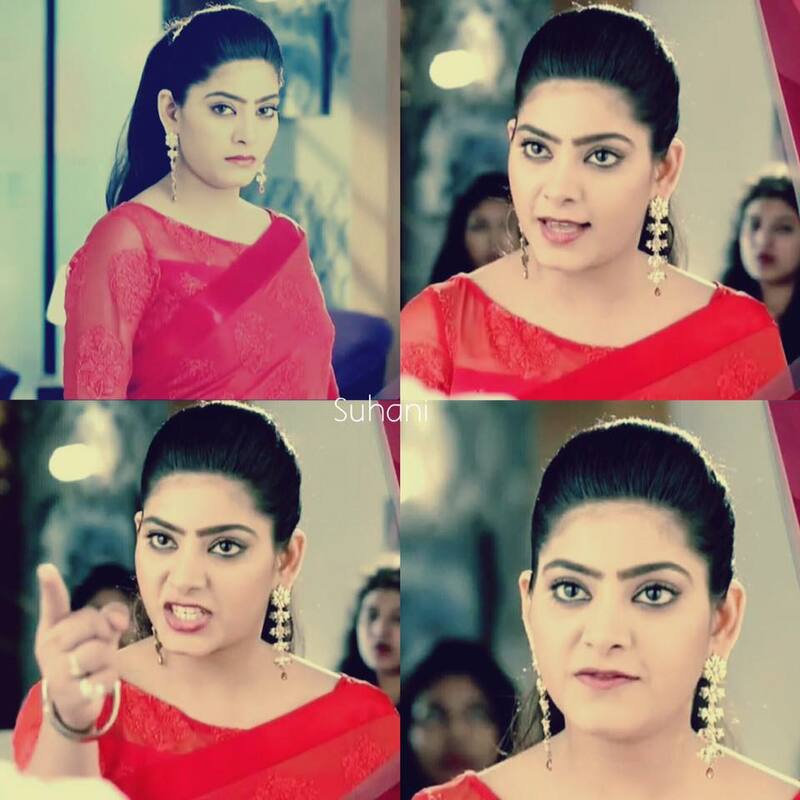 Why Yuvraj so angry in suhani. Why suhani and yuvraj seperation. Suhani means youraj and suhani. We dont like these lovely couples seperation. Please unite them. We dont like Sowmya living in Birla House. What about Maa. maa loves suhani very much. I’m not of Indian race, but I have been watching the show for the past year and I truly fell in love with the story. I’m not so happy with this new start. After such a drastic ending that made it seem as if the family perished in an explosion, I expected the show to start off with them telling us what happened right after the explosion. If they survived, how? And why are somya and yuvraag together… It doesn’t make sense. I hope cone the next episode things will start to make sense. No this change makes everything confusing…. Suhani look beautiful but the twist in the story I don’t like it at all. this show, like most other serials on TV, has gone from good to downright insulting to the intelligence of the public. What a shame because the acting quality has gone up but the story and authorship is still garbage. I normally watch it in the background as it is not worth my time — just to kill it would be mercy on the hard(ly) working actors as they are performing at a better level than the authors’ abilities and a blessing to the audience. Even the above write up is poor. Go back to school!! Please unite the adorable little Yuvaan with his Dad Yuvraj. Didn’t like this twist in the tale. Took quite some days to understand what exactly was going on. Reunite suhani n yuvraaj. Make him fall in love with suhani all over again. Expose dad. Rags. Soumya for their evil deeds. Soumya doesn’t suit yuvraaj. I m loosing interest in the show. Yuvraaj needs to accept his mistakes. His hurtful words made suhani to go away fm him.